Minister of social affairs: “the time of sellotape and plasters has passed”. Employer organizations and trade unions have to reach an agreement in the beginning of next year with the government on a reform of the pension system. 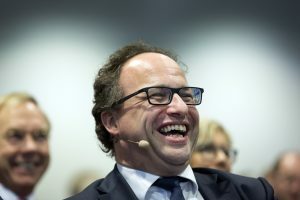 This wish was expressed by Minister of Social Affairs Wouter Koolmees during a pension conference that Netspar organized with the Dutch Pension Federation and the Dutch Association of Insurers. The minister wants the pension system to be fundamentally strengthened and renewed. Koolmees says he is looking forward to the final pension advice from the SER. He attaches great value to this because of the social support. ‘We have to do it together’. More information about the event can be found here. One of Netspar’s objectives is to systematically explore and describe the options for providing people with sound retirement provisions – now and in the future – and to contribute to a well-informed pension debate. In the run-up to parliament elections we have collected a selection of the most relevant recent publications to provide insight and depth to the four principle directions outlined by the SZW in the ongoing pension debate. The election debate ‘Income for Now and for Later’ will be held on March 7, 2017, with Netspar as one of the knowledge partners. Seven politicians will debate about the job market and pensions. You can find more information and register via this link. Background document ‘effecten afschaffing doorsneesystematiek, een ALM-analyse‘ (2017) in which calculations are explained, Lever, M., Muns, S.